This holiday season is daunting when it comes to the arts. Seriously, it’s next to impossible to take in all the offerings that Seattle arts organizations present to us. Music, theater, visual arts, dance…it would be great to have some of this rich meal portioned out over the next few months. But that's not how the holidays work. I’m not going to wax eloquent here on which Messiah is the most mellifluous, or which chorus brings it when it comes to Christmas carols. 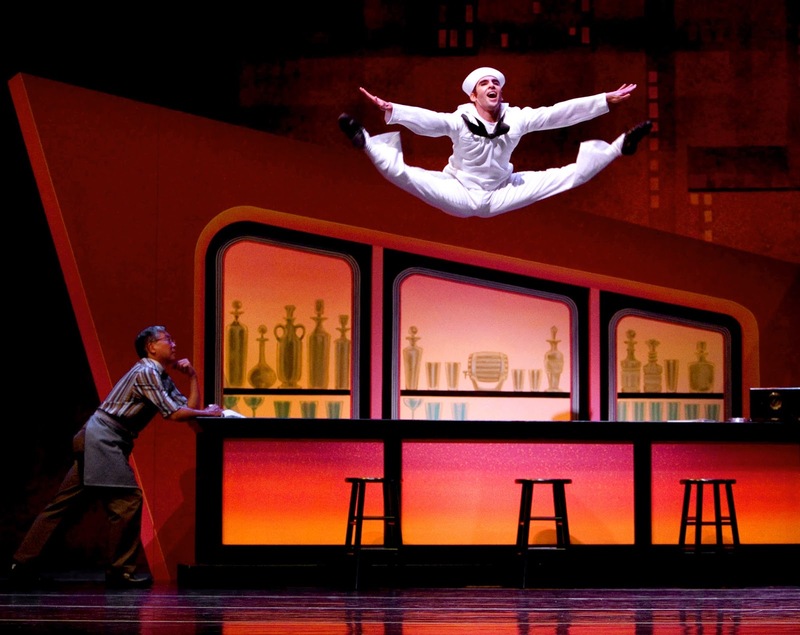 If you like ballet, you know him: Pacific Northwest Ballet principal dancer Jonathan Porretta. 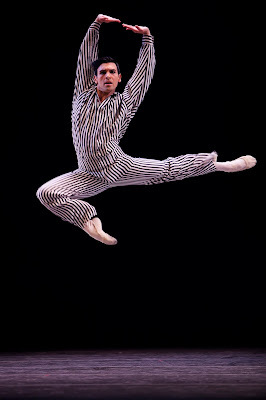 He’s been out of the spotlight since last March, when a serious foot injury forced him to stop dancing in the middle of PNB’s fab all-William Forsythe rep.
Porretta had major surgery last summer, and he’s been rehabbing like crazy in hopes of being back onstage for the company’s new Nutcracker. That December return is still up in the air. He says if (IF???) he’s back for this production, it’ll be at the end of the run. PNB Principal Dancers Jonathan Porretta and Noelani Pantastico in George Balanchine's "Square Dance"
So now Porretta fans have their fingers crossed that this audience favorite will be back in February for the return of Jean-Christophe Maillot’s heartbreaker, “Romeo et Juliette.” No, Porretta won’t be dancing the role of Romeo; if you saw this ballet the last time PNB performed it, you’ll remember Porretta in the role of Mercutio. He was, as always, a scene stealer. 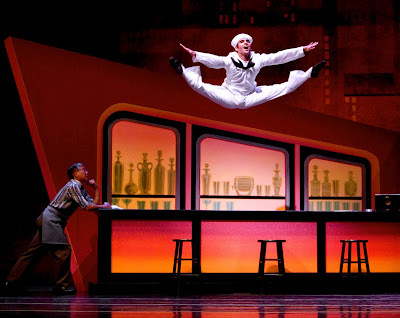 And, according to his good friend and former PNB dancer Jordan Pacitti, Porretta is persistent, in his work ethic and when it comes to getting himself back onstage. He’s had to be patient and dogged to work his way back to performance-shape. We've tried to be patient, too. At 34, Porretta can glimpse retirement not too far down the track. And he says 'not yet.' Pacitti left PNB almost six years ago; last spring Porretta’s other good friend, Kiyon Gaines, gave a last bow to his performing career. Porretta plans to dance until he's 40, and with his dogged attitude, he may make it. 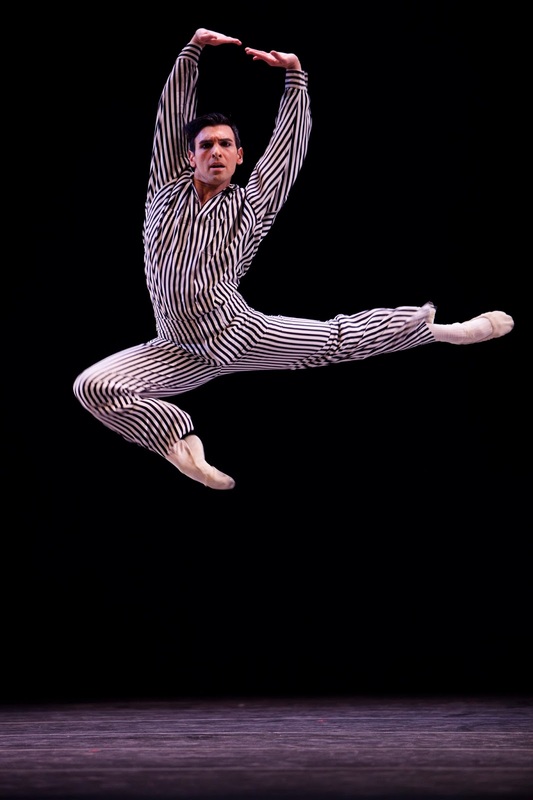 PNB Principal Dancer Jonathan Porretta in Twyla Tharp's "In the Upper Room"
The saddest part of a professional dancer’s life is how fleeting it is. Very few ballet dancers continue to perform past 40; recent notable exceptions in Seattle: PNB principals Kaori Nakamura and Louise Nadeau. Jonathan Porretta hopes to join their ranks. In the meantime, audiences have to exercise our own patience. If I can't watch him dance, I guess I'll go back to writing about Jonathan Porretta. Look for that profile in the not-too-distant future. Eager for Johnny's return and to read the full article. He's such a dynamic presence on stage that his absence is all the more notable. Get well soon, Mr.P. Waiting Patiently is the tough task. Mumbai is perfect for any holidays.